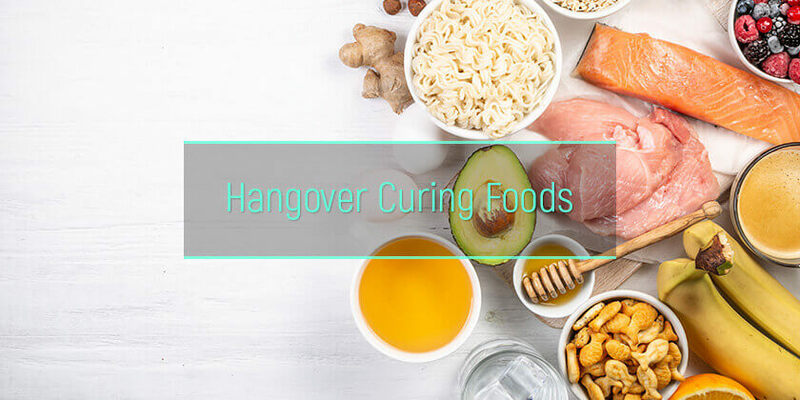 When a hangover strikes, people are often looking for quick cures in the form of food, a drink for the hangover, and other items that can help them experience relief of the symptoms. People often ask what to eat after drinking alcohol, as some foods may help to replenish the body with the lost nutrients, fluids, and other elements that were lost due to the use of liquor. While there is quite a long list of recommendations for foods to cure a hangover, they do not all really work. Thus, it is important to understand the right food to eat for the hangover and those particular food items that may not do the trick. How does food affect hangover? Is greasy food good for a hangover? Why do hangovers make one so hungry? What if a person does not want to eat when hungover at all? Once hangover strikes, people often want to know what they can do about the symptoms. This often leads to the person trying to find the best thing to eat for a hangover, or perhaps a beverage that can help them expel the toxins that have built up in their system. There are multiple foods that have been claimed to be the best hangover food, but not all of them help – some are potentially more effective than others. When a person has had a rough night for multiple drinks the previous night, their body is suffering the next day – their stomach is empty, the lining of their stomach has been irritated, and the stomach is more acidic. Some foods will help to fill up the stomach, while others may assist in re-hydrating a person’s body, which is an essential component of getting over a veisalgia. There are also certain foods that are rich in antioxidants and other natural compounds that may help to flush out toxins in the patient’s body faster. A relatively large number of people would opt for the best hangover fast food when the headaches, nausea, and other symptoms start to kick in the next day. It is commonly said that greasy food items can help with a crapulence – but in reality, this is actually a suggestion that is usually meant to be utilized before drinking. Most people would have greasy food to eat before drinking alcohol. The thought behind this is that the greasiness (fats) in the food will help to reduce the absorption of alcohol, leading to a delay in drunkenness, as well as less severe hangover symptoms. Eggs have been suggested as one of the best foods to cure a hangover. This type of food holds some of the best vitamins for the hangover, along with minerals, protein, and other nutritional content. Both the fat content in eggs, along with the protein, may be useful in reducing symptoms caused by excessive liquor drinking. Protein is often also at the top of the list when it comes to considering the best food to eat after drinking alcohol. Furthermore, the taurine in eggs may help to support liver function – the liver needs to process all the alcohol that was consumed. Cysteine may also be useful for breaking down the acetaldehyde that accumulates in the body after drinking. Similar to eggs, chicken and poultry meat options are known to contain the amino acid cysteine, making this the best thing to eat when hungover and not in the mood for a large meal. This can, in turn, help to provide support for the liver while processing the harmful toxins the body is exposed to following the consumption of alcohol. Furthermore, adding some noodles to chicken soup can assist in replenishing the sodium and carbohydrates levels in a person’s body. The soup is also good for preventing severe dehydration and helping to rehydrate the body. 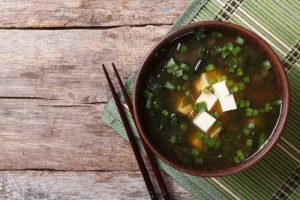 Miso soup is another type of soup that can definitely be useful for those experiencing the after-effects of alcohol. Miso soup contains a number of useful ingredients. For example, the sodium in the soup can help to replenish electrolytes in the body. At the same time, Miso is a fermented soup, which means it will help to improve digestion. Oats may be the best hangover breakfast due to the rich nutrient content found in the food. As a healthy drunk food, oatmeal contains some B vitamins, along with iron, magnesium, and calcium. Furthermore, the antioxidant activity of oats can help to flush out the toxins in the body caused by alcohol faster. Bananas are one of the most recommended home remedies for hangovers. Electrolytes are often significantly reduced after a hard night drinking, which can put the body at risk of further dehydration, along with other complications – the body depends on a healthy supply of electrolytes for multiple functions. Bananas are high in potassium, as well as other electrolytes, that can help to replenish the reserve in the body. When it comes to looking for quick hangover remedies, meat might be a good option to consider. Meat, including pork, beef, and other varieties, contain many minerals, vitamins, and also amino acids, that may be useful in the treatment of a crapulence. Some of the content found in meat products may also assist with flushing out the toxins faster. Meat is also filling. Many people who want to know what to do for a hangover opts for a carbohydrate load. There are various types of carbs that can be considered the best food after hangover. Toast and crackers are two excellent examples of this topic – simple carbohydrates that can help to increase blood glucose levels quickly. This can help to reduce the effects of the low blood sugar levels that people often experience after they had too many drinks the previous night. 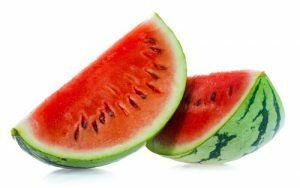 Watermelons are exceptionally high in water content. This makes it a worthy entry in the list of the best food to eat after hangover. With dehydration being a key factor in the development of the symptoms, it is important to load up on anything good that can help to replenish the lost fluids. Watermelon is not only delicious but can assist in re-hydrating the body. Salmon is high in protein, as well as important fatty acid content. As mentioned previously, protein is useful in alleviating some of the symptoms associated with a hangover. The omega-3 fatty acids can also help the body replenish its reserve of essential fatty acids at the same time. There are different reasons why a person may feel hungry when they are hungover. In one study, scientists looked at how the loss of fluids can affect a person’s appetite and hunger levels. The study found that fluid loss leads to both an increase in thirst and a reduction in the feeling of fullness. This means that dehydration certainly has a role to play in the fact that a person is likely to feel very hungry when they have a hangover – at this point, it is important to remember that alcohol causes dehydration. Most alcoholic beverages also cause a spike in a person’s blood sugar levels. As they reach the phase of the hangover, blood glucose levels start to drop and become unstable. Hypoglycemia, a condition where blood glucose levels drop significantly, has been associated with increased hunger and a higher appetite. While this may be a positive factor for some people, allowing them to eat the right foods to help with their heavy morning, it may also lead to excessive calorie consumption. While some people do become hungry when they have a hangover, others may rather struggle with eating during this time. Many would search for techniques on how to keep food down, as nausea and vomiting can make it difficult for a person to consume food when they are still hungover. Those who can’t keep any food down should try to opt for a natural hangover remedy that targets nausea specifically. The best food after hangover for those who vomit and are struggling to eat would be those food items that include ginger. Even a tea with some ginger extract might be helpful. Studies have concluded that ginger is beneficial in alleviating nausea – once alleviated, the person might be able to eat some hangover remedy foods without throwing up. Does Eating Help A Hangover? To understand whether or not food can help, it is important to understand what’s a hangover and how it affects the body. Many home remedies for hangovers exist – including certain foods, often cites as hangover cure food. While there are different types of foods that a person can consume when they have a veisalgia, it is generally recommended to opt for healthy hangover food to avoid the added calories and potential adverse effects of trans fats and other unhealthy ingredients found in fast foods. Some food might be considered the best thing to cure a hangover – but it is important to consider the effects of the food on the body to understand if it would be useful. That’s why alcohol rehabs specialists usually have a specific approach to the food in their facilities. They create the menu to meet the needs of the organism weakened by excessive ethanol intake to ensure the alcoholism treatment efficacy.